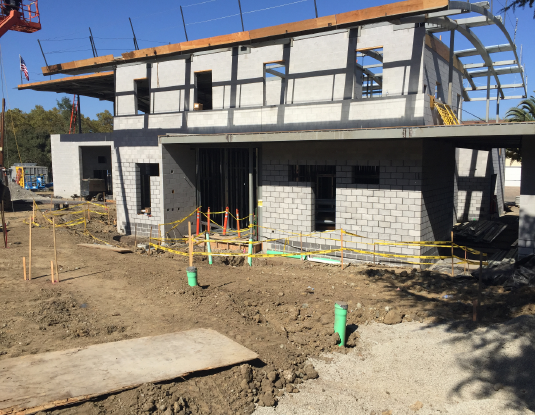 During the month of September, Alten Construction substantially completed high roof steel erection and 1st Floor electrical and plumbing rough-in. High roof decking over the Apparatus Bay was started and completed. Work began on mechanical rough-in and framing for the 1st Floor, site-specific storm-drain, and Storage Building construction.